Padakhep Manabik Unnayan Kendra Job Circular has been Published. 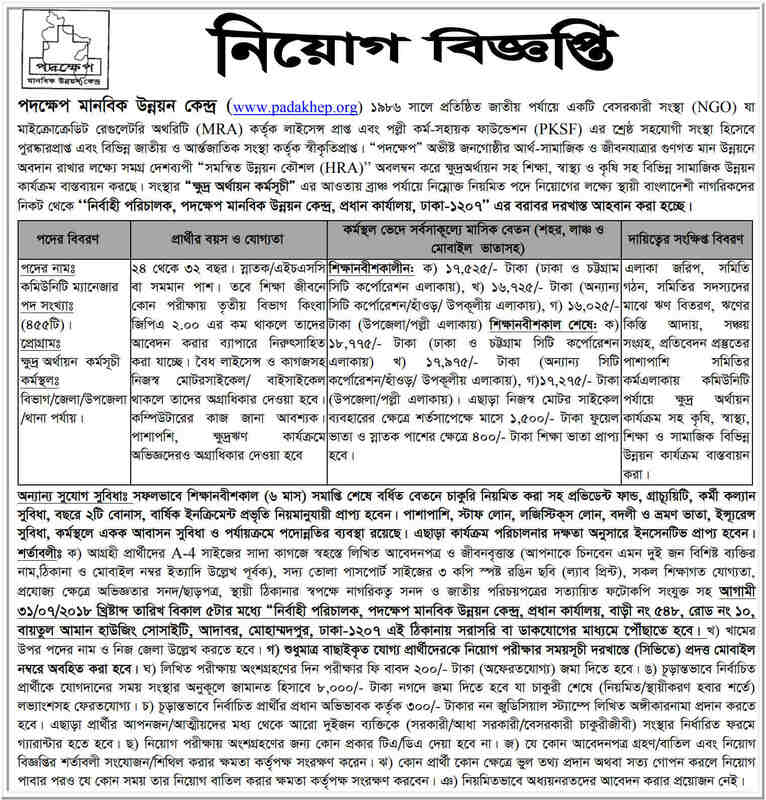 Padakhep Manabik Unnayan Kendra Jobs Circular offer total 455 New vacancy in this post. HSC And Graduate Student also apply this Padakhep Manabik Unnayan Kendra ngo circular 2018. Padakhep Manabik Unnayan Kendra job circular converted to an image file,so that everyone read easily or download this job circular. Padakhep Manabik Unnayan Kendra Job Circular 2018 has been given bellow.If you want to apply for this job,you should submit your application within 31 July, 2018. Post of Name: Community Manager. Salary Range: 17,525 – 18,775 Taka.